– Erin Holmberg got a breakaway and scored 10 minutes into the game to give the Tigers the lead, but Franklin tied it on an Anna Balkus goal (assisted by Calen Frongillo) with less than five minutes remaining. Franklin coach Tom Geysen said that his team played well in the second half, hitting the bar several times. 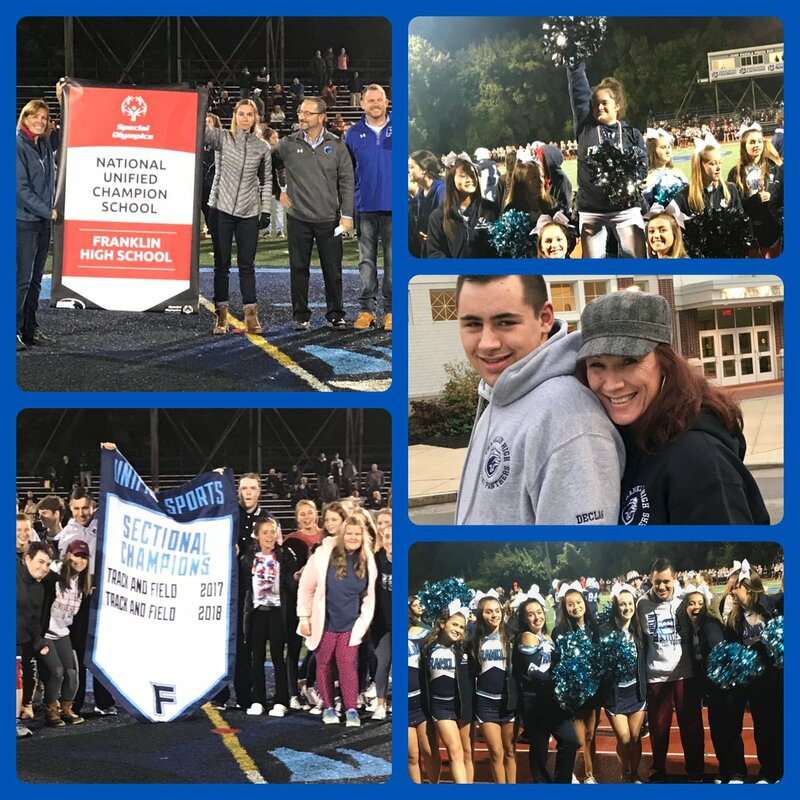 Here’s your pic collage Mr. @FranklinHS !!! Such an awesome night celebrating @FHSBestBuddies and @FranklinUnified. hard fought 1-1 tie against OA! Goal by Anna with the assist from Calen- G2 goes to Sabrina A.!! Tonight we hosted our parade of champions, 18 (!!!) banners going up in our rafters, and National Recognition Banner from Unified Athletics. One of only 10 schools in MA to be honored. And we’re up 35-0 over OA at halftime. Can you say #PantherPride? ?